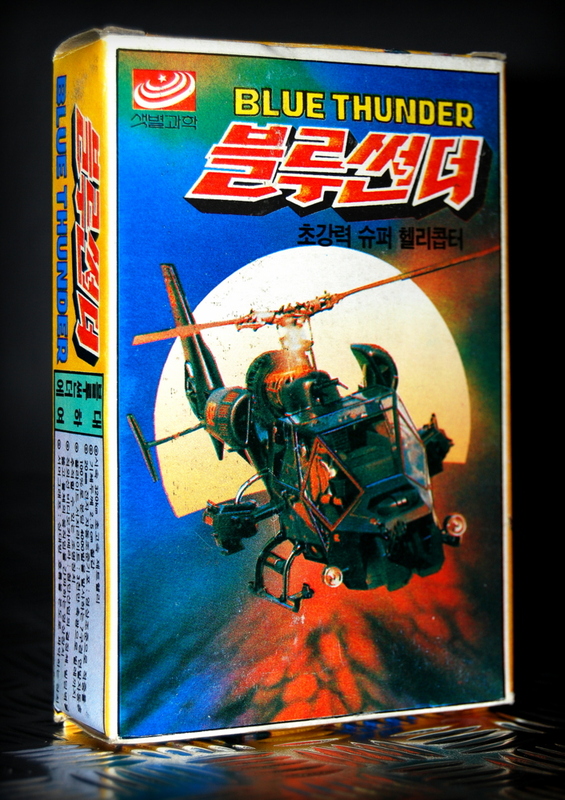 This entry was posted in The Merchandise, The Movie by airbuster02. Bookmark the permalink. 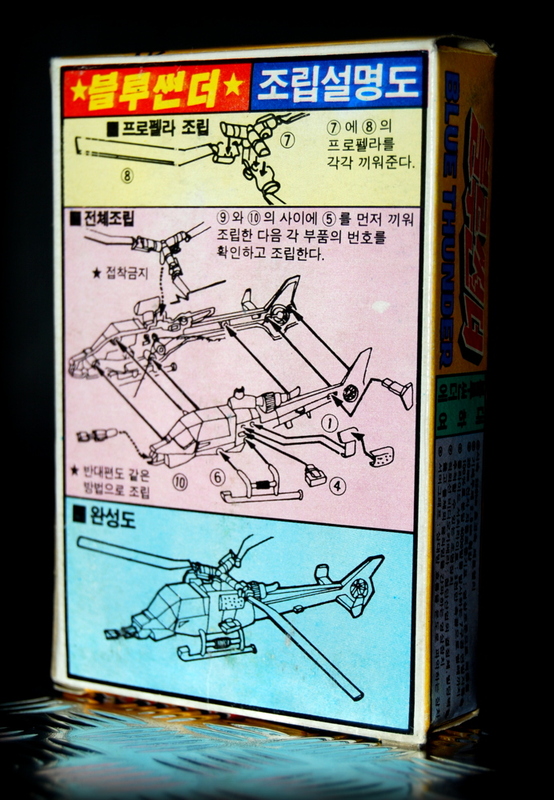 It’s very nice to see this 80’s old product of my country, South Korea. 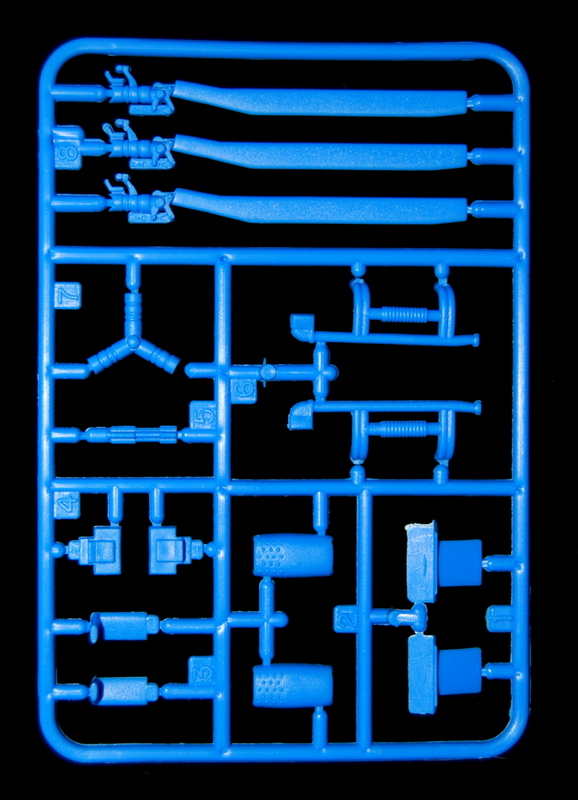 Well, actually Kit No. 100 doesn’t mean any number of a product or a model. In the 80’s it was just the indication of price. So No.100 means one hundred Korean won which was equivalent to about 15 US cents. 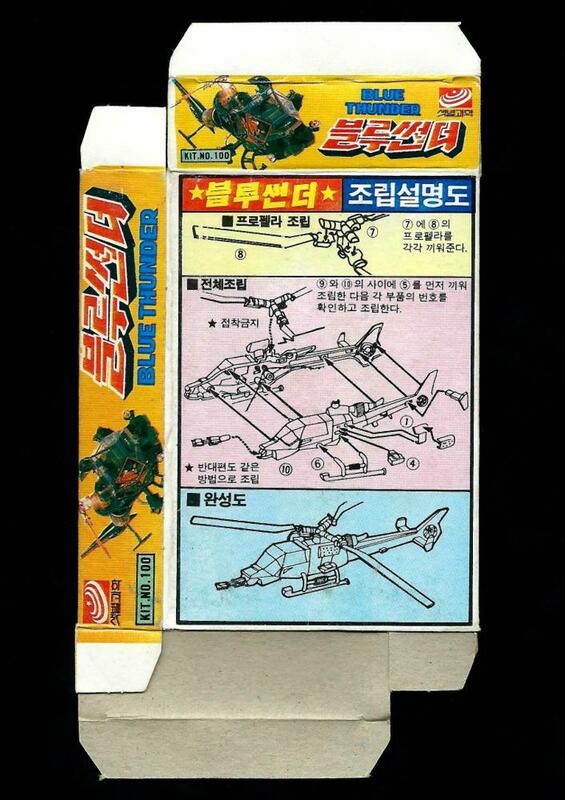 We had many kinds of such small pack assembly kits including Airwolf, the counterpart of Blue Thunder for children’s joy at that time but it’s hard to see them these days. Thank you for evoking old good memories. 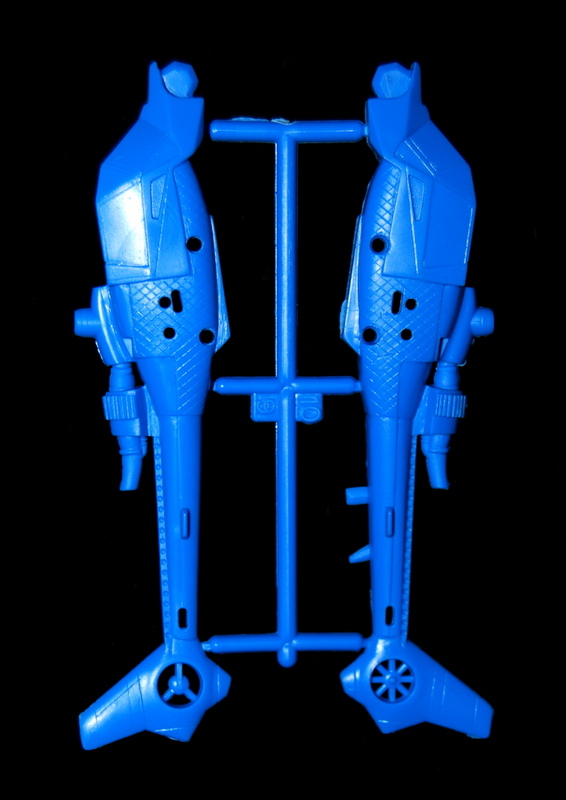 Welcome to the site and thank you so much for your wonderful comments – its great to learn more facts about this piece from its country of origin! 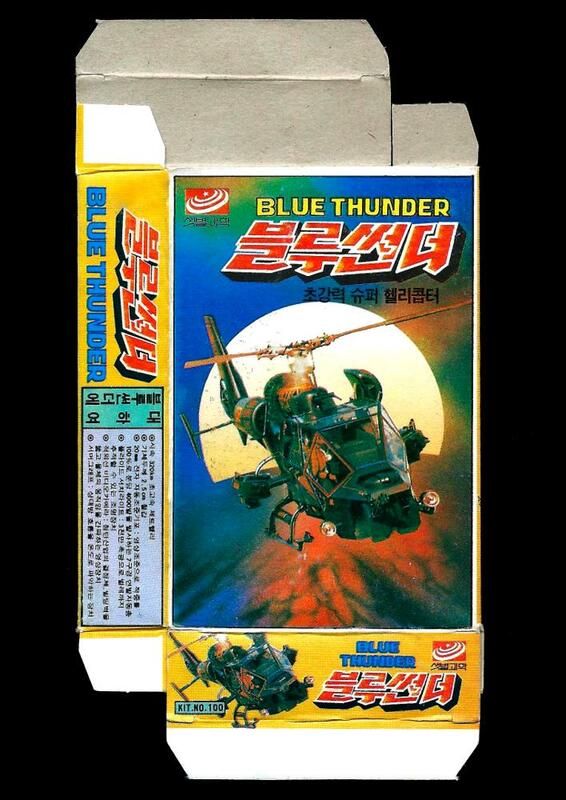 Its my understanding there was at least one more BT kit emerging from Korea in other scales so I’m currently on the lookout for those to complete the collection – I would value your comments on those also….